Edom Kassaye has been set free on July 9, 2015! Edom Kassaye is a journalist who had served as a reporter for various media since 2008. 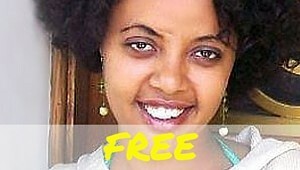 Along with other Zone 9 bloggers and journalists who aim to spread awareness of human rights violations, she was imprisoned on April 25, 2014 with charges of terrorism. She briefly worked for “The Ethiopian Herald,” a government English daily, and was an employee of Radio Fana and Global Voices Amharic. Although she was not a member of Zone 9, she participated in numerous online campaigns held by Zone 9. Referred to as “Miss Integrity” by other bloggers, she is deeply committed to active citizenship while under repression.